Their technological innovations range from the groundbreaking to the groundbreakingly quirky, but Japan’s latest advancement appears to be one that falls into the former category, as a telecommunications company in the Asian nation are trialling their plans to stream 4K-resolution (Ultra HD) content to TV set-top boxes. Undoubtedly assisted by some of the highest-quality connection infrastructure in the world (which at its peak offers a global high-speed of 4GB/s), NTT West are experimenting with the methods until this Friday (14 June), under the hope that it will offer greater insight into the feasibility of such a service for consumers. 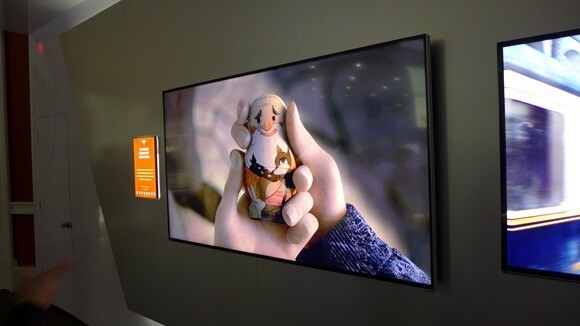 Believed to be the first attempt of its kind, NTT West (through subsidiary NTT SmartConnect) are looking to utilise a new ‘video compression standard’ that is able to reduce the level of data needing to be transmitted to screens while retaining the same picture quality, a resolution that is 4 times more detailed than that of the 1080p standard in current HDTV sets. The method is said to be one in which as opposed to sending video through individual pixels, is achieved by a ‘variety of algorithms’ that analyse colour distribution in each frame and the alterations between it and the next one, aiming for a means of saving time by not needing to re-send a stationery image, caption, or background. It is a format that has been used on current HD broadcasting services (with the ‘H.264/MPEG-4 codec’ being applied to both streaming and non-streaming broadcasts), and has been formally approved by the International Telecommunication Union (ITU) under the new guise of the ‘H.265′ High Efficiency Video Coding (HEVC) standard, enabling transmission of both 4K and 1080p videos at half its usual speed and data, a move which the ITU claims will satisfy broadcasting needs ‘for the next decade’. 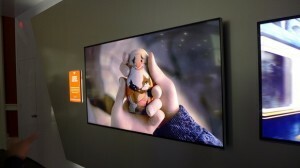 Although the world is currently lacking in a variety of 4K content despite the compatible television sets on the market (which are primarily used for upscaling of original HD content), the format is expected to boom over the coming years, with Japan already pledging a commitment to broadcasting satellite-based 4KHD live coverage of the 2014 FIFA World Cup, a move that will be even more relevant given the recent qualification of their national football team to the tournament next summer in Brazil.